Environmental, wastewater, and other sampling applications may expose electrodes to unknown contaminants. Over time, exposure to contaminants such as heavy metals and reactive chemicals, will take a toll on a sensor’s functional components. The best sensors for these types of applications are built to safely handle contaminants to maximize working lifetime. Our pH2400 has a double junction reference design to prevent fouling by sample contaminants that interact with Silver (Ag). The refillable reference junction allows users to replace the liquid fill solution as it becomes depleted or contaminated, instead of replacing the whole sensor. Environmental, wastewater, and other sampling applications may expose electrodes to unknown contaminants. Over time, exposure to contaminants such as heavy metals and reactive chemicals, will take a toll on a sensor’s functional components. The best sensors for these types of applications are built to safely handle contaminants to maximize working lifetime. 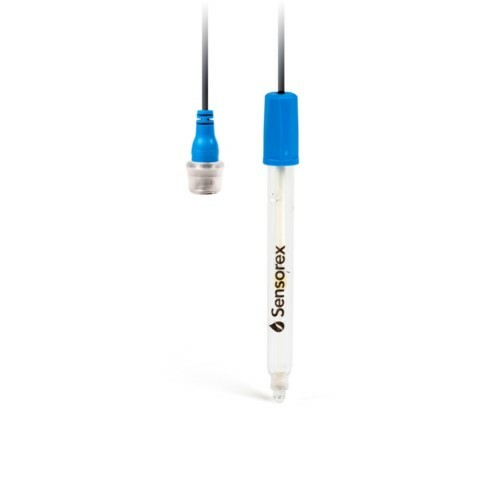 Our pH2400 is a glass electrode with double junction reference design to prevent fouling by sample contaminants that interact with Silver (Ag). The refillable reference junction allows users to replace the liquid fill solution as it becomes depleted or contaminated, instead of replacing the whole sensor.